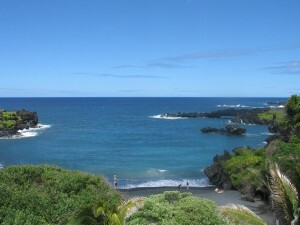 Everyone has always told me how much they loved visiting Hawaii, especially Maui. I had heard there are a ton of things to do and to see, so in 2008, I decided to cave in and take a trip! The airfare was pretty inexpensive from LAX and I was able to receive a very nice deal from the Fairmont Resort in Wailea, so in May 2008, I packed my bags for Maui for 5 nights! With all of our driving around, we didn’t venture very far to enjoy a nice meal. Our favorite meal was at DUO, which is a steakhouse located at the Four Seasons Resort in Wailea. Just being at the resort was a treat, as it is breathtakingly beautiful, but the food was absolutely outstanding. Be prepared for a big bill, though! We also ate at Nick’s Fish Market at the Fairmont, as well as Cheeseburger in Paradise (twice- how cliché!) and Matteo’s Pizzeria, just across from the Shops at Wailea. Nick’s was very good, but I think it would have been a better experience had we liked seafood. The seafood dishes looked out of this world. We really wanted to eat at Café Ciao, which is also at the Fairmont, but they had actually closed it just before our arrival. It was in the process of becoming Ko, a “plantation-inspired” dining experience. 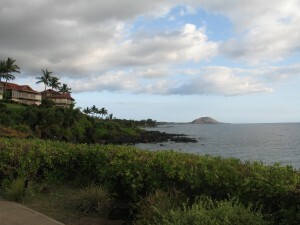 We had a very nice stay in Maui, and if we choose to return, we’ll probably end up in Wailea again. Maui is much larger than it seems, and it is also more touristy than I would have liked. However, it has every type of activity for every member of the family, so it’s a great family destination. I also recommend Wailea, Kapalua, or even Hotel Hana for honeymooners, as it has a very romantic aura and is a bit more peaceful and luxurious.